Raceskin offers high performance custom cycling jerseys for clubs, teams, event organisers and corporate businesses. Whatever your requirements, big or small, one thing always remains true; performing beyond expectation is what Raceskin do best. 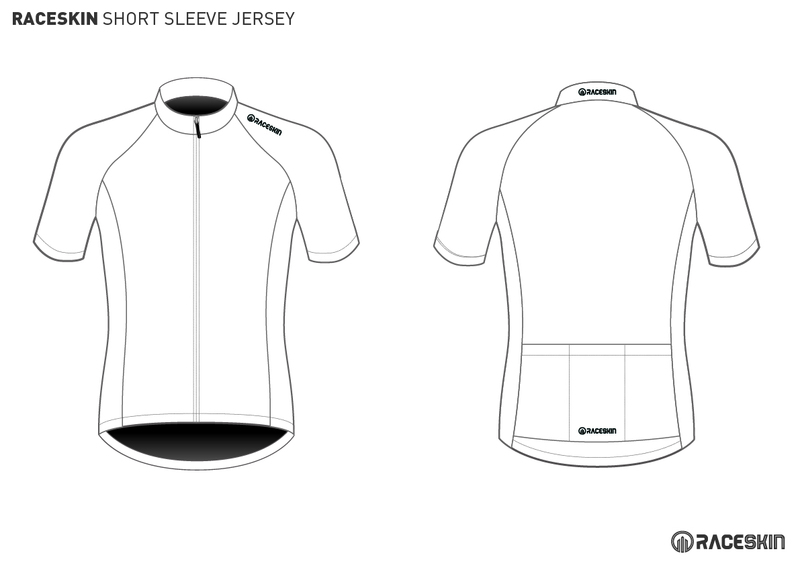 Every custom cycling jersey we design is bespoke and made for you alone. The innovative technology used and the design passion put in to every cycling jersey will completely change any expectations you’ve previously had about custom clothing. Simply provide your logo and any requirements, and our award-winning Raceskin design team will do the rest. Whether you're a group of friends looking for a small quantity of custom jerseys, or you’re an event organizer needing hundreds, Raceskin have eight different styles of quality cycling jerseys ready to be customised to suit your requirements. Raceskin custom designed cycle jerseys are created through a combination of the most technically advanced fabrics, innovative designs and latest technologies. Our custom cycling jerseys represent years of evolution and refinement, and are the result of our ongoing collaboration with top professional cyclists, as well as a series of severe lab test protocols to ensure you cycle in supreme comfort. From the moment you contact us, our expertise and knowledge is at your disposal, to help provide you with exactly what you need. Our mission is to supply you with the very best quality custom cycling jerseys and designs ,and the best customer service you have ever experienced. Your total satisfaction is our ultimate objective.